GSP provides an online platform for your stores to securely access corporate resources and relevant information. It helps simplify the tasks your employees need to do for work. The portal features an online catalog unique to each store. That means each store sees only the inventory, fixtures, displays and marketing materials that match its store profile. This makes it easy for each store to tell what they have on hand so they can order exactly what they need. The user-friendly format includes photos of each item so it’s simple to see what you are ordering. It helps to eliminate redundancy and improve cost efficiency by integrating requests for multiple items. 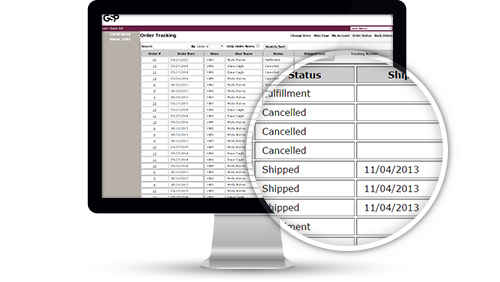 You can even set up auto-notifications for low inventory levels so you’ll never be out of stock again. 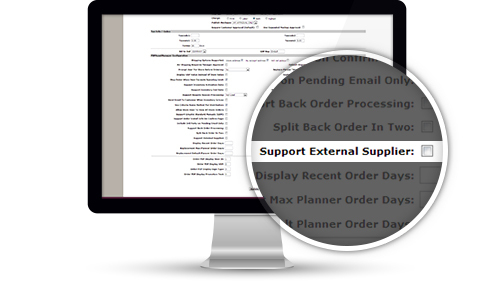 The Store Portal will also help you simplify retail task management, solve execution challenges and enhance Corporate-to-store communication. You can easily send messages and photos back and forth or even shoot out a quick survey to see how a new promotion is going. It will become your barometer of how each store is performing and you’ll know what it needs to succeed. 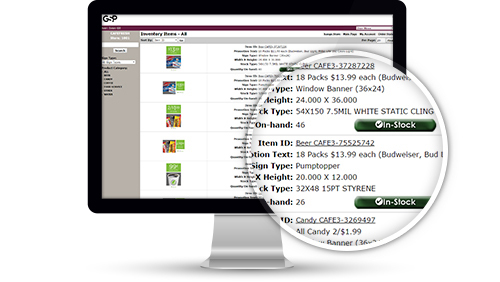 Control POP spend by setting maximum dollar spend by store or time period, providing customized approval grids and designating store-specific item lists. 24-hour access enables store managers to reorder at their convenience—for reduced store distractions. Visual interface makes it easy to find items quickly. Online order tracking and email notifications let field staff know what has been ordered and when new POP will be arriving. You can manage any inventory, regardless of the location. Simply tag the item to the location where it is being stored.